Take the Leap! Will You Do It? We are loving the new series on NBC called "This Is Us." We laugh and we cry over the beautiful relationships. After viewing, my mind goes to the memories of my dad that I lost many years ago. "Let's go to Miami on vacation!" he said. I was four years old at the time. Mom packed the suitcases and we were off from Philadelphia for a road trip down A1A. After just one week of Palm trees with coconuts hanging high and trees with real oranges hanging low, my dad made one more definitive statement. He looked at my mom and said "Call your mom and tell her to ship everything! We are not going back!" We looked at him and knew he was serious. "Risk Taker" was a title he wore very well. My mom the conservative got that look on her face that said here he goes again. The next day we were off to find an apartment. Of course, he rented a one bedroom in South Beach before it became the trendy area of today. With no job he casually signed a lease on this beautifully furnished space. "Don't worry!" He told my mom. "The money will come from somewhere!" The next day he ventured out and she hoped that it was to find a job. Around six he returned and said, "I met this guy named Jimmy and we are going to start a business together." The look returned to my mother's face. Jimmy would be an auctioneer and they would open a new and used furniture store. They would buy up all the items from homes and large estates and sell them at great prices. There would be an entertaining live auction every Wednesday night with Jimmy in a starring role. I started kindergarten at South Beach Elementary that fall. 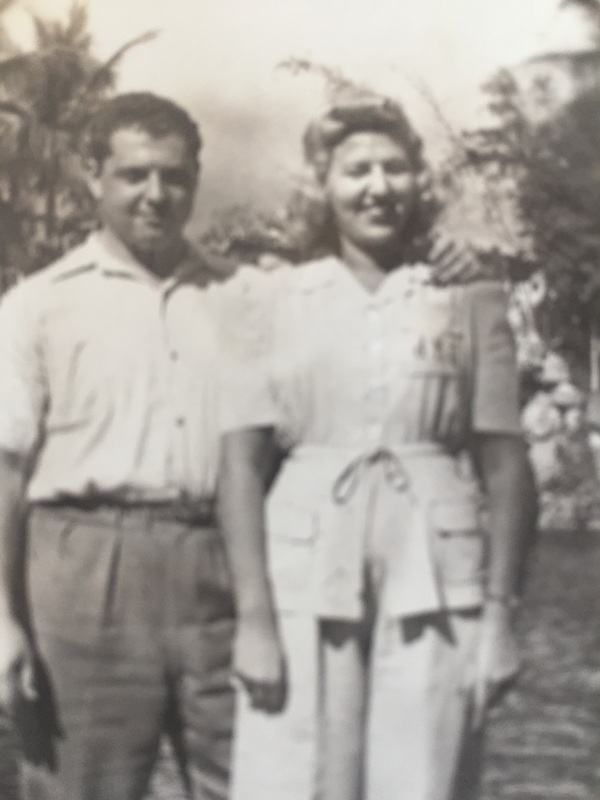 Dad always loved Miami and throughout his life he shared that his dream was to retire there. One year later my dad owned the whole city block and business was brisk. The auction was the place to be. The smile returned to my Mom's face. Of course in all lives there is much more to the story but the important lesson I learned from that early experience was to always follow my dreams and take the leap. Share your risk taking experiences with me at jax6014@aol.com. Happy Holidays!